Every October, we celebrate Halloween by posting horror-themed lists all month. This year, I’m going to kick our celebration off with something a little different. 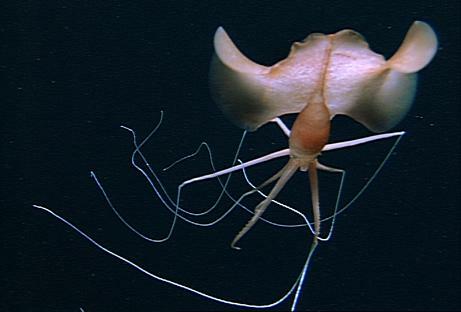 Instead of focusing on man-made monsters, here are some real “monsters”, the bizarre animals of the deep. 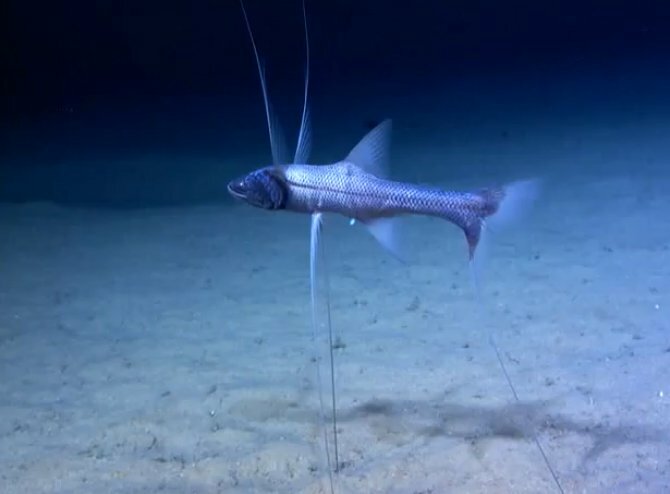 Here are ten of the strangest deep sea creatures. 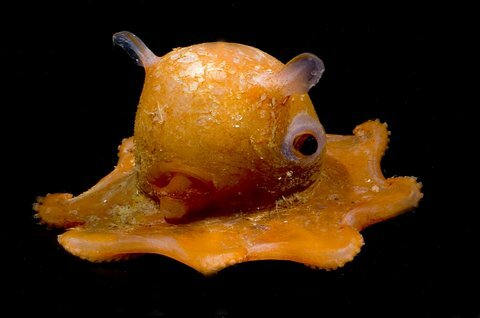 The flattest cephlapod in the world is the flapjack octopus, which is named for it being so flat. It is commonly found in the Bering Sea off Alaska, off the coast of Japan, and even in the Pacific Ocean off of California. The flapjack octopus may not seem popular or well-known, but fans of Finding Nemo will recognize it, even if they don’t realize it. The popular character Pearl, one of Nemo’s schoolmates, is actually a flapjack octopus, although she is a much more vibrant pink color. Glass squid resemble the delicate glass decorations you find in upscale art stores. Juveniles can be found in mid-depths, where the sunlight still filters down enough for them to be transparent to any predators. However, adults are found much, much further down, at depths of over 7,500. 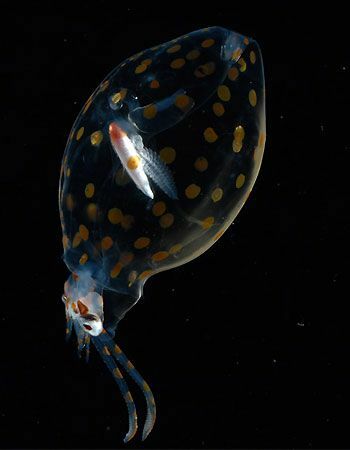 There are over 60 species of glass squid, each with its own unique appearance. To help with buoyancy, most species have an ammonia-filled chamber, and extremely small tentacles. 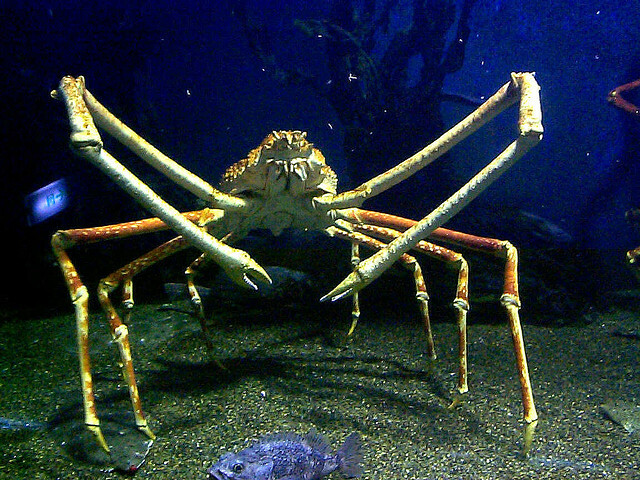 Is there an animal more alien-like than the Japanese spider crab? I doubt it. With a leg span of up to 12 foot, it is the largest arthropod in the world, and, being found at depths of over 1,000 feet, it is a great example of deep-sea gigantism. Despite their terrifying appearance, they are completely harmless. Most of the time, Japanese spider crabs slowly walk along the seafloor and eat scraps of dead animals, instead of hunting and killing its own prey. 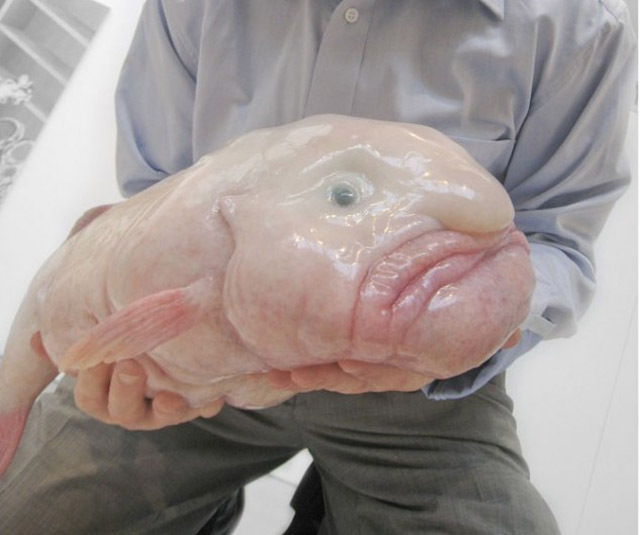 One of those animals that are so ugly they’re cute, blobfish are the ugliest animals in the world. That’s because the sad-looking fish actually won an “award” from the Ugly Animal Preservation Society, a group which focuses on conservation for the less-fortunate looking animals. Blobfish live at depths of almost 4,000 feet. Because of this, the blobfish has evolved to be made of a gelatinous mass, with a density lower than water, allowing it to float. When it is taken out of the water, it “collapses”, giving blobfish their ugly appearance. Hatchetfish are small deep-sea fish famous for their unique shape. Being extremely thin, the fish resemble hatchets, with their tail fins being the handle. They have been found in depths of 1,500 meters, although they are typically found at depths of several hundred meters. 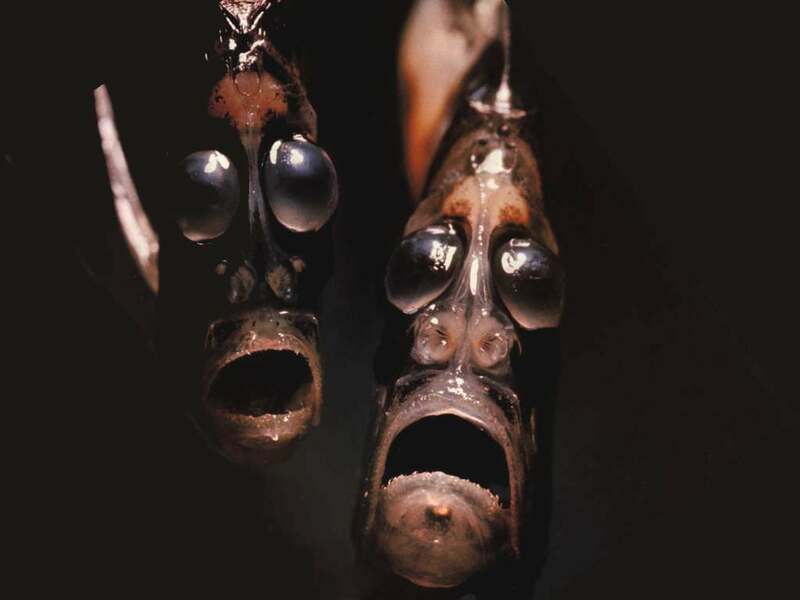 Like many deep-sea fish, hatchetfish are also bio-luminescent. Their mouth is directed downward, while their eyes are long and directed upward, creating the unique and bizarre look in their face. 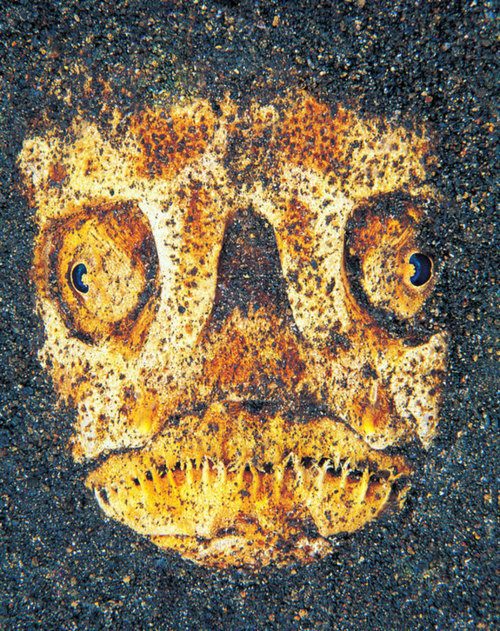 Stargazers have to be one of the most terrifying-looking animals in the world, resembling Halloween masks. Their ironically tame sounding name comes from the fact that their faces are positioned on the top of their bodies, as if they are gazing at the stars. This is so they can bury their bodies under the sand and ambush small fish. Some species even have small lure-like adaptions in their mouths to attract fish. It gets even worse. Stargazers are venomous, with two spines capable of delivering electric shocks. Tripod fish are regular looking fish, except for their extreme fins. The fish uses its elongated pelvic and lower caudal fins to balance on the seafloor, resembling a tripod. It then turns its head towards the sound of any movement, and raises its pectoral fins. Lying dead still in the darkness, the fish waits for any prey to swim by. It then uses its pectoral fins to direct the prey into its gaping mouth. Although they are well-known, angler fish are just too bizarre to leave off this list. The more than 200 species all have large mouths full of razor-sharp teeth. The largest angler fish can be over a meter, while most are only about a foot long. 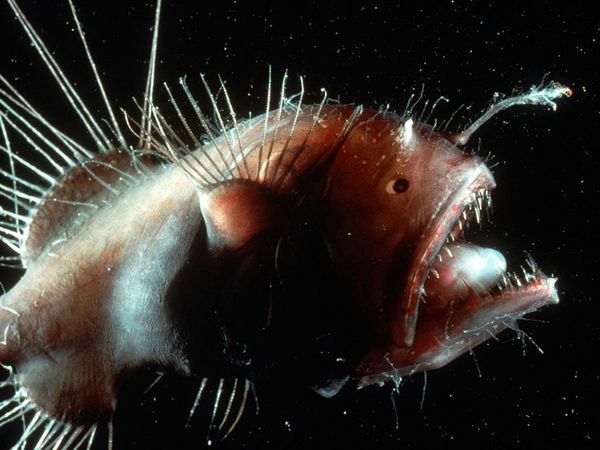 Angler fish use a glowing piece of their dorsal fin as a “fishing pole” to attract prey. Because of their mouths, they can swallow prey twice as large as themselves. But its only the females that use this, as males are parasitic. They attach to females with their teeth and over time, actually become a part of the female, losing their eyes and internal organs. Bigfin Squid were only discovered in the 1988, and it wasn’t until 2001 that clear video footage was taken of the alien-like squid. The video was taken at a depth of about 10,000 feet, and shows the bizarre bigfin squid slowly swimming. It has an extremely large fin size, with the fin taking up about 90% of its mantle, and long tentacles which appear to be hanging off of “elbows.” Very little is known about the bigfin squid, as it has only been seen on several video clips taken in its extreme habitat. Although the fish was first described in 1939, it took scientists until 2009 to solve the mystery of the barreleye fish. 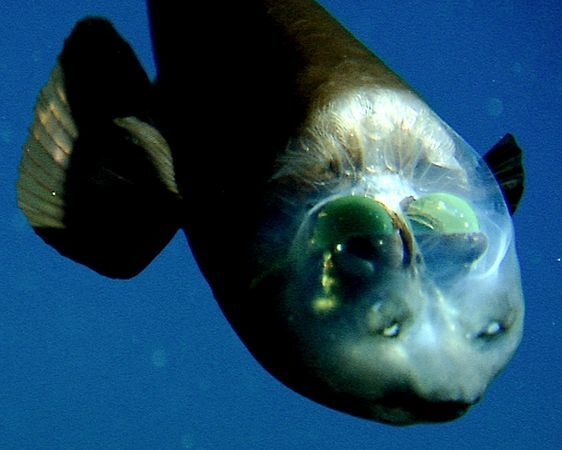 Scientists previously thought the fish’s eyes were fixed in place, providing “tunnel vision.” However, the barreleye fish’s eyes, which are inside its body, can rotate, providing a much better sense of sight. What appears to be the fish’s eyes, above its mouth, is actually its nares, akin to human nostrils.